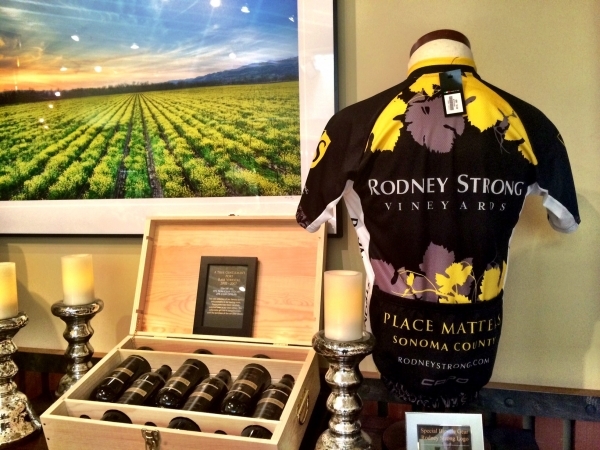 Rodney Strong Vineyards is a major sponsor of the Vineman Triathalon in Monte Rio, California. With their picturesque location in Healdsburg, CA, they get a lot of bicycle enthusiasts in their tasting room. 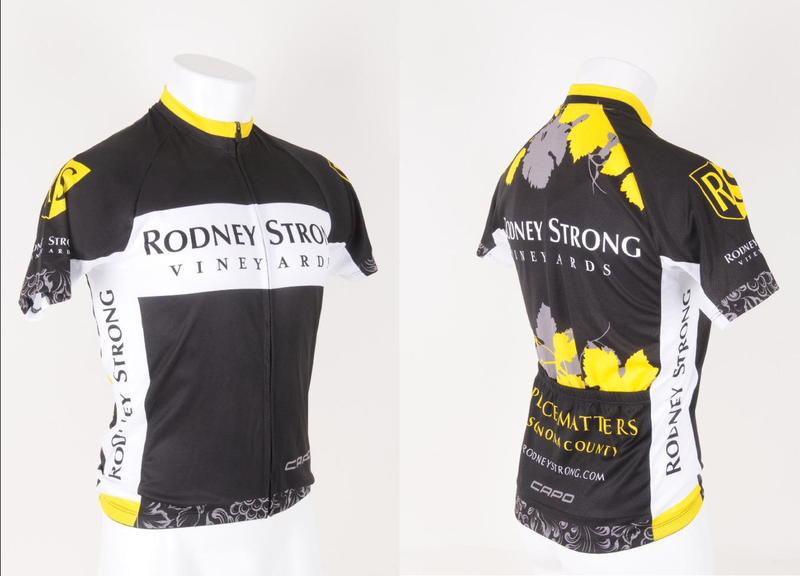 They asked me to design a bicycle jersey that could be worn at the Vineman event and sold in their tasting room. I used their brand colors and incorporated grape leaves and vines into the design. They are available for purchase from the Rodney Strong tasting room. Phone# is: (800) 678-4763, or stop by if you’re in the area! They’ve sold out of this cycling jersey- any chance of more? It’s awesome. Thanks!